This grille is meant to add a sporty touch to your Mercedes Benz A-Class W176 (2012-2015). With our Panamericana grille you will achieve the look of the new models of the AMG GT. 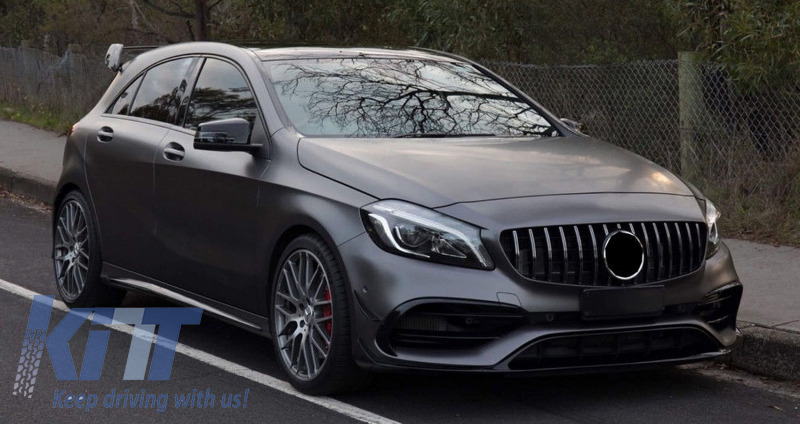 Buy it now Central Grille suitable for MERCEDES Benz A-Class W176 (2012-08.2015) A45 GT-R Panamericana Design All Black!